Maybe we’re feeling a particular need to embrace love and understanding this week. Maybe it’s just a wonderful thing to focus on every day of every year. 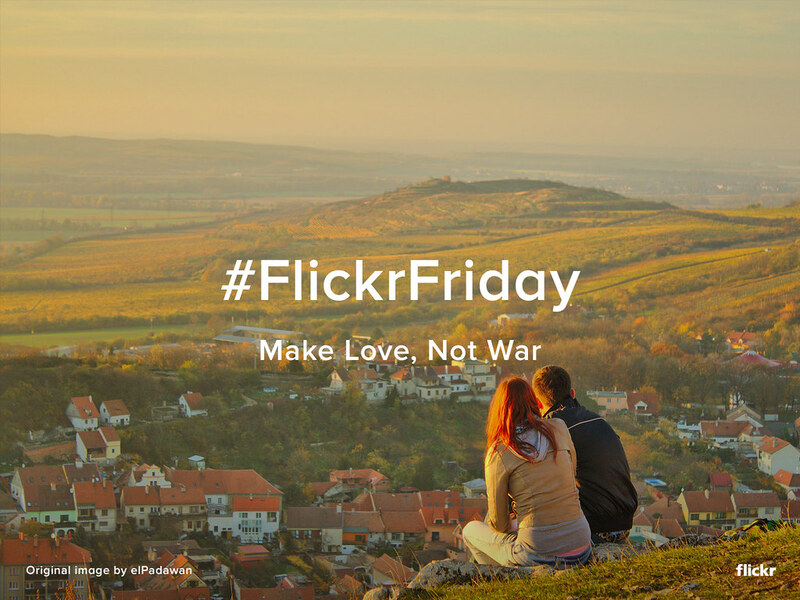 This week’s theme for the Flickr Friday Group challenge is #MakeLoveNotWar! Original photo by El Padawan. Take a photo that represents love triumphing over hate, generosity vanquishing bellicosity, Flickr Fam embracing Flickr hope. Add it to the Flickr Friday Group Pool and use the tag #MakeLoveNotWar by Thursday next week. We’ll publish a Gallery of our favorites on Flickr and on the Flickr Blog! November 11th is Origami Day in Japan. To celebrate, we have assembled a sampling of this whimsical and imaginative artistic expression, that employs the simple medium of paper.